Gala Leisure is rebranding their iconic Gala Bingo clubs as Buzz Bingo. The fresh branding of the famous game will be aimed at bringing in younger audiences. Gala Leisure’s rebranding plan revolves around a £40 million investment in their bingo clubs across the UK over the next two years. They’ll introduce Buzz Bingo in two clubs initially before converting every Gala Leisure club across the country to their new brand. The company partnered with Playtech to help bring their re-launch to life. Playtech’s lineup of games includes titles such as the DC branded Batman and the Riddler Riches online slot and Superman The Movie online slot. Interestingly, Playtech also partnered with Gala Leisure’s now rival Gala Group (more below) in March of 2018 to integrate all Ladbrokes platforms onto a single, Omni-Channel account. 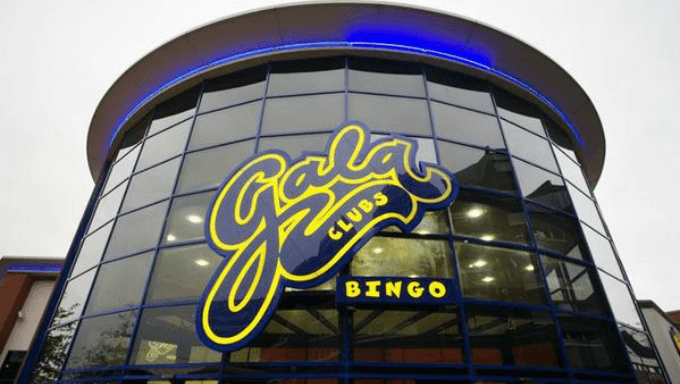 According to Gala Leisure, the rebrand is a move on recent trends showing that the younger generations are going out more often, and the Caledonia Investments owned company is hoping to bring a new generation of bingo players into their clubs across the country. Long story short: Gala Leisure is rebranding to form a new identity, separate from Gala Group Investments which has different owners and retains the rights to the Gala brand. Long story: The rebrand is the start of a full shift for Gala Leisure to open back into online markets. Due to various acquisitions and mergers, Gala Leisure (and owner Caledonia Investments) doesn’t own the rights to operate the Gala brand online. Back in 2015, the entire Gala brand was under one owner: Gala Coral Group. In June of 2015, Gala Coral Group and Ladbrokes announced a merger to create the largest bookmaker in Britain. However, in the merger, the Gala Bingo clubs were not included, and sold to Caledonia Investments in December of that year. The new Ladbrokes Coral Group and Gala Group Investments retained the rights to the Gala brand, but entered an agreement with Caledonia Investments and to allow Gala Leisure (confused yet?) to continue use of the Gala brand in physical clubs. Caledonia and Gala Leisure are no longer in an agreement with GVC Holdings and Ladbrokes Coral Group, thus prompting the rebranding of the Gala Bingo clubs. With the rebrand, Caledonia and Gala Leisure are free to enter the online market without fear of lawsuit, which appears to be Gala Leisure’s intentions. In Gala Leisure’s press release, the company states that “Buzz Bingo has ambitious plans to take the fun game of bingo to a wider audience, where customers can play together, anywhere.” Further down, Gala Leisure openly states they’re in the process of developing an online operation under the Buzz Bingo name.